Leon's passion for everything he does has helped him achieve sustained success at the highest level. A 20 year career in a demanding sport is a notable feat in itself. But his breakthrough successes brought diving to the attention of the British public. Training in the pre-lottery funding era in a minority sport had its challenges. Yet at the Athens Olympics of 2004, Leon and his diving partner Peter Waterfield, managed to secure Britain's first medal in the sport for 44 years. An honour which led to new investment in the sport and the development of a new crop of British talent. During his diving career, Leon enjoyed sustained success at the highest level. He participated at 3 Olympic Games and was a member of the Great Britain team for 16 years. The highlight of his career was Silver at the 2004 Athens Olympics. In 1998 he invented "the world's most difficult dive" - a backward 2.5 somersaults with 2.5 twists in the piked position. The dive carried a tariff of 3.8 and was the most difficult dive performed in competition. Following a 2009 rule change, the dive tariff changed to 3.6. Yet, the dive is a legacy that continues to live long after Leon's competitive days. In May 2008, Leon retired from diving but he still enjoys involvement with elite sport. He is a member of the British Olympic Association (BOA) athletes commission. A role that saw him help TeamGB athletes prepare for Rio 2016 – their most successful to date. Olympic fans will recognise Leon’s voice as the BBC’s “voice of diving”. His colourful, insightful summaries have won him fans of all ages. Since retirement he has also been mentor to, among others, diving sensation Tom Daley. This latter role led him to write his first book, "MENTOR - The most important role you were never trained for". A book aimed at organisations wishing to engage and nurture talent through mentoring. Leon's mentorship skills are now put to good use in his work with SportsAid, the UK’s leading charity for young athletes. He also delivers mentoring workshops as well as continuing to raise funds for this important charity. After sustaining serious injuries throughout his career, including four shoulder surgeries and a worn disc in his lower back, Leon was advised by his medical team to try yoga... it worked he’s now pain free and has been teaching yoga for a decade. 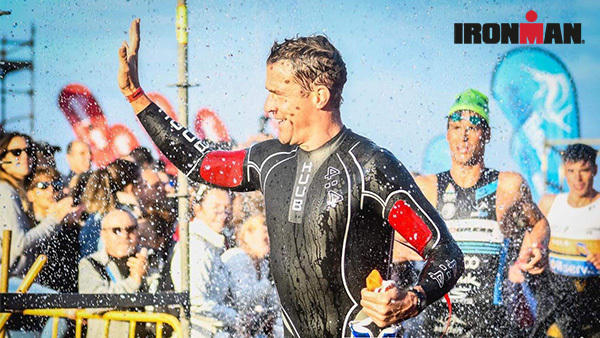 To mark his 40th birthday he completed a challenging Ironman triathlon. In 2015 Sheffield Hallam University awarded Leon an honorary doctorate. Leon continues to collaborate with the University on their mental wellness strategy. His work on the new state-of-the-art Advanced Wellbeing Research Centre is particularly exciting. Leon has a passion for engaging a wide audience about the challenges of mental health. He has featured in many media outlets, including The BBC. 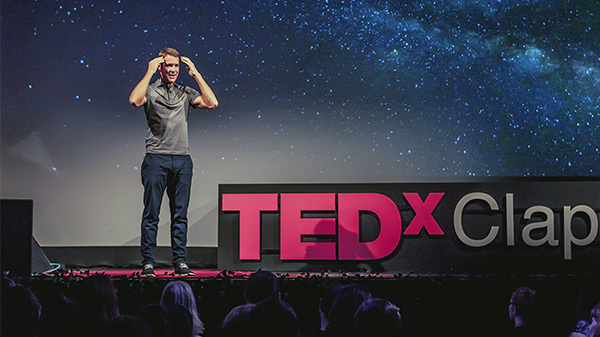 The compelling message in his TEDx talk, How to manage your mental health, has proved very popular. His enthusiastic and accessible style is also put to good use for the Young Minds charity. Helping their important work with young people is a role Leon relishes. Leon is a qualified executive coach hired by leaders and entrepreneurs. He combines mentoring and high performance experience with a passion for mental wellness. This leads to sustainable high performance built on long-term mental wellness. All content © 2019 Leon Taylor.